Assumed Knowledge: National Powerboat Certificate or equivalent. Coastal Navigation for Small Boats or equivalent. 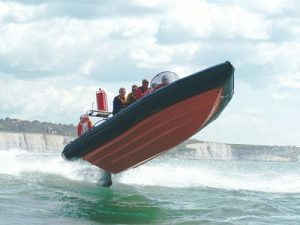 Description: This course is aimed at both recreational and professional powerboaters who will be undertaking longer trips including island hopping, raids etc. Content: Boat preparation, passage planning, weather, passage making (day & night), advanced boat handling. Ability After Course: You will be able to prepare for and undertake extended trips to sea in a variety of conditions including night.